Industrial Mixers – Admix, Inc. Depending on the application of an Industrial Mixer, some models may have sharp blades while others may have large flat paddles. The attachments or heads are generally removable to maximize the mixer’s effectiveness with different materials. Stainless steel is most commonly used, especially within the food and beverage industry because of the metal’s sanitary and hygienic properties. Other possible materials include aluminum, steel or cast iron. Industrial mixers are used across many industries to manufacture and process a wide variety of materials and substances. Mixers are widely used across many industries including the cosmetic, pharmaceutical, chemical, agricultural, pulp and paper, automotive, water treatment, adhesive and sealant industries. 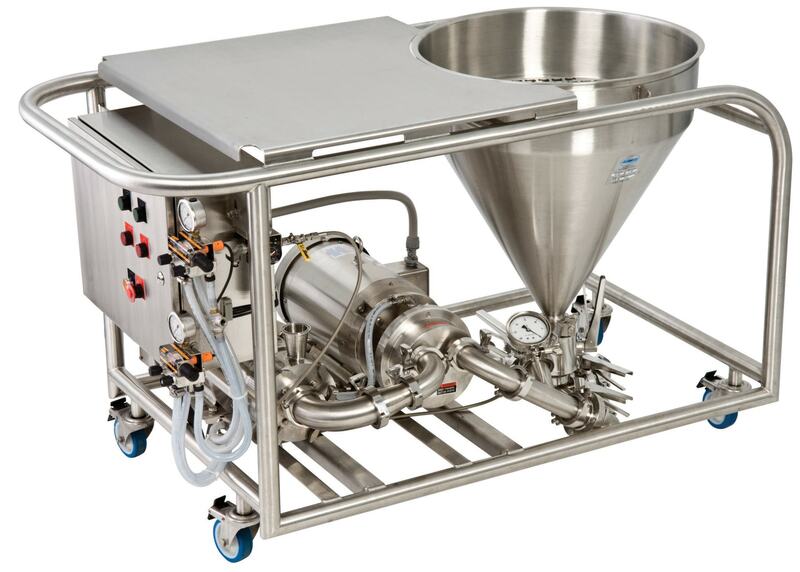 These mixers are equipped to handle toothpaste, glue, petroleum products, cement, biodiesel, dry and wet chemicals, medicines, food coloring, syrups, beverages such as milk, medical ointment, lotions, creams, vitamins, shampoos, detergents, toothpaste, hair dye, petroleum products, silicone, adhesives, polyurethane and many other products or ingredients. Within the single category of industrial mixers, there are many kinds and varieties of these machines that have been specialized. Blenders are very similar if not identical to mixers; some prefer to differentiate between the two because blenders sometimes have sharper blades that move at faster speeds. In terms of processing speed and style, there are two modes. Batch mixers are the more common of the two kinds. Mixing begins after a substance is poured into the industrial mixer. Once mixing is complete, the substance is poured out of the mixer for further processing and the mixer is then cleaned before being refilled. Continuous-feed mixers can handle a steady flow of material. Static mixers are inline and continuous feed mixers because they do not move. The materials are mixed as they flow around the strategically-placed blades and paddles. Another kind of industrial mixer is a drum mixer which consists of a rotating drum on the frame. There are multiple mixers used to accomplish a solution or substance that is the same throughout. High shear mixers offer shorter mixing times than standard mixers. The speed of the product at the tip of the rotor is higher than the speed at the center which emulsifies immiscible materials. Similarly, homogenizers and emulsifiers achieve the same results by forcing substances to pass through a screen. Agitators are industrial mixers that typically mix substances with low viscosities in low-shear applications. Industrial Mixers Industrial mixers are machines that blend, homogenize, emulsify or mix components into a homogenous substance. Industrial mixers are used to thoroughly combine any type of liquid or solid during the manufacturing process. They are usually large tanks or vats with motorized blades or paddles that rotate on a stationary shaft or remain stationary themselves.